Once the spyware gets into your computer, the finest option to consider is downloading dependable removal software. Before installing, always remember that various anti spyware software themselves incorporate malware. Thus, make sure to avail some already tested and tried products accessible rather than trying something new, which you are not aware about. 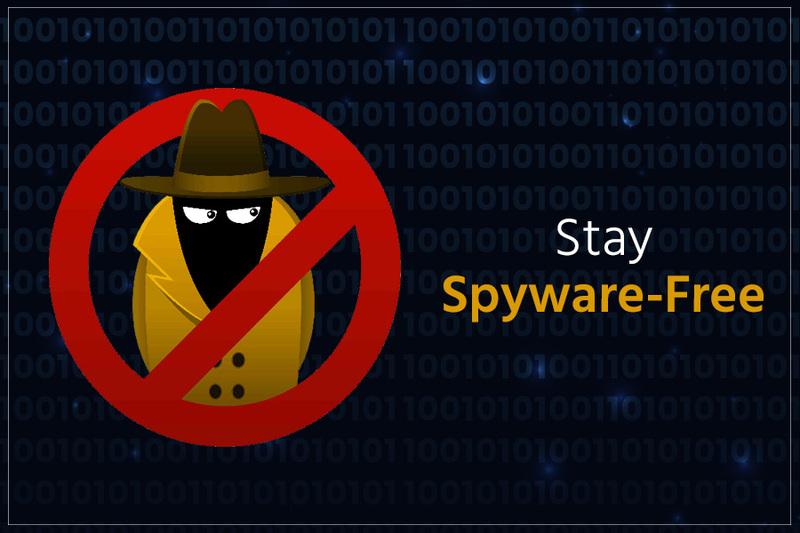 For ensuring that your system stays away from spyware, always keep a check on online activities. 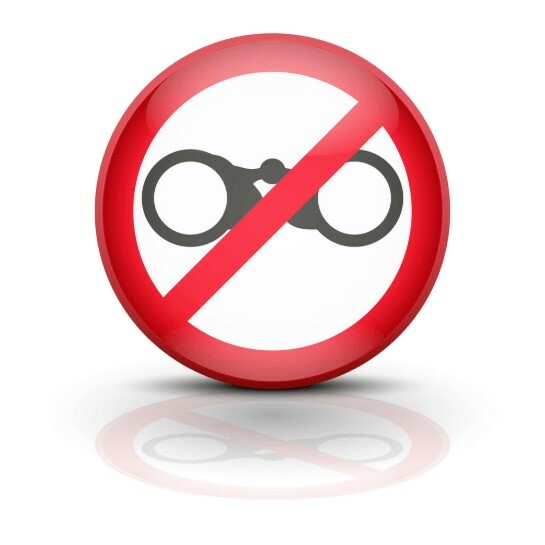 Remaining aware with the type of software you install on your PC will significantly allow you to restrict malware from getting into your system. There are several programs that are infamous for the severity of spyware they possess. Programs like Comet Cursors, KaZaa Media Desktop, Gator, ZapSpot Games, and Bonzi Buddy are all blacklisted for deliberately bundling spyware. Regardless of the attractiveness of the advertisements these programs reveal or state that they are free, always remember to not to install them. An additional wise or worth considering precautionary measure is to frequently and regularly scan your computer in order to make sure that no contagious spyware has entered in without informing you. updating the antivirus software and anti-spyware on frequent intervals is important as well, since spyware threats always keeps on increasing. Regular updating as well as patching the Windows is highly recommended as well as the malware generally exploits, and targets numerous security flaws identified within the operating system. In case, if you are totally paranoid then you might also wish to keep folders safe that are frequently targeted via spyware. It involves cookies folders, browsers history, caches and temporary files. Programs that can help to keep cookies folder neat and clean can be undoubtedly exercised. Additionally, you can alter the privacy settings in the Internet Explorer as well to high or medium, thus only enabling cookies from the reliable websites. Finally, yet importantly, keep your personal computer informed regarding all different signs of spyware attack. The practice must also include installing a great spyware deletion software. They will help to keep your computer protected from spyware. When it comes to protecting Windows PC, no software can be more safe and exhaustive than Advanced System Protector. Advanced System Protector is a powerful antimalware program that is designed to detect and remove spyware, adware, rogue programs, keyloggers, browser helper objects, and other types of malware. What makes it so efficient is its database that gets regularly updated with latest malware definitions to keep your system protected from the latest threats without breaking a sweat. How Does It Remove Spyware and Other Malware? Quick scan searches for malware in the default folders of your system such as Desktop, Documents, Downloads, Music, Pictures, Videos etc. However, Deep scan thoroughly scans every folder and file in your PC hard drive to eliminate spyware and other potential malware threats. Again, with Custom scan, users can scan only files and folders selected by them via the Settings option. In addition to safeguarding from every kind of malware threat, Advanced System Protector also gives features like Internet Shield and Windows Shield for extensive PC protection. Overall, this promising software has a lot to offer. 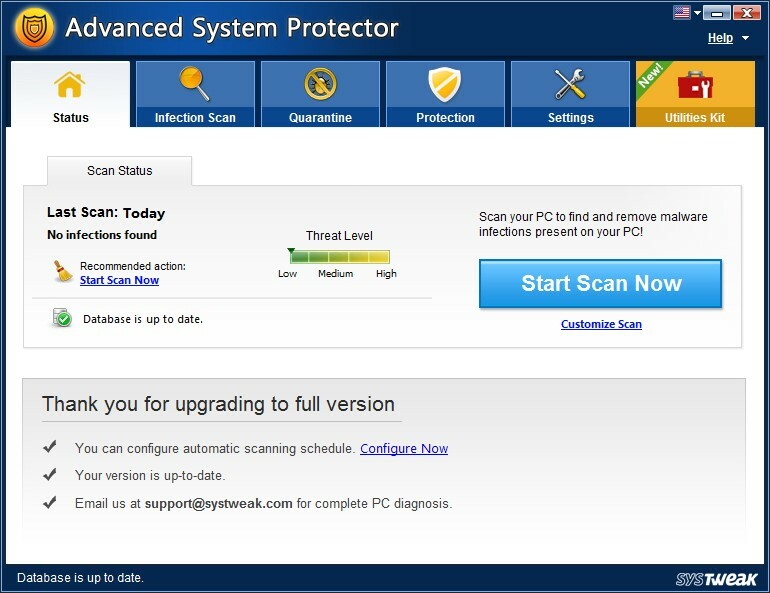 To know more, click on the button below to instantly download Advanced System Protector. Got a new Mac? Install Systweak Antimalware for Mac for extensive protection against all malware threats including spyware. 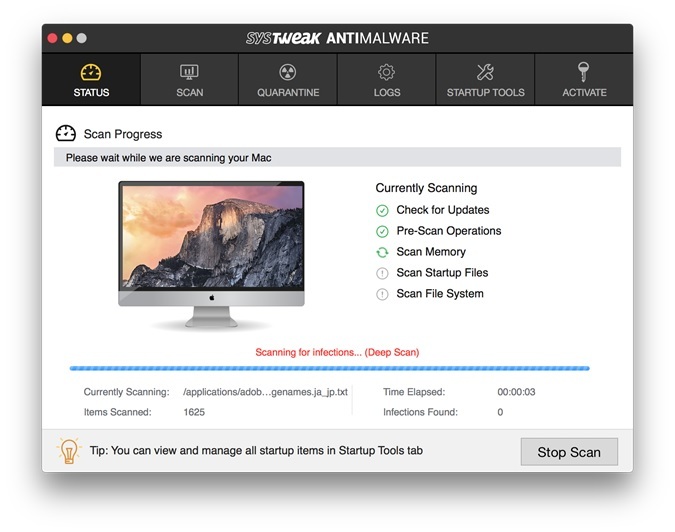 Systweak Antimalware for Mac scan and removes threats such as spyware, adware, trojan and other malware hiding in your Mac computer’s hard drive. All you need to do is to click to instantly scan and eliminate viruses from macOS. Systweak Antimalware for Mac scans browser plugins for suspicious add-ons. It can also scan and find vulnerabilities in cron jobs, startup scripts and login items. Get the best antimalware protection for your Mac. Install Systweak Antimalware For Mac now. Click on the button below.